The LLC vs S corp box lawyers try to put you into is contrived. Having said that; let me explain. When it comes to S corp vs LLC attributes, they are all basically the same. 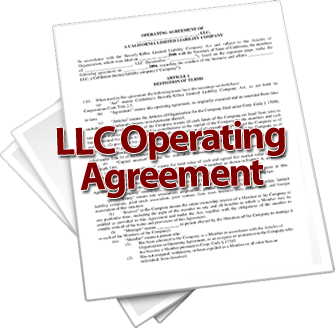 The limited liability protection of the LLC and S corporation are almost identical. So, in the S corporations vs LLC battles, there is no winner. Although the S corporation vs LLC limited liability protection is the same under the law, an LLC may actually give you better protection, because an LLC is easier to maintain than a corporation. 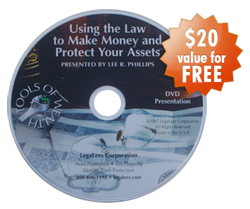 (Note that the legal set up and maintenance is the same for both the C corp and the S corp.) Corporations have more formalities imposed on them than LLCs do. However, if you are going to have an LLC, you should follow the corporate formalities with your LLC. Practically speaking the sub S corporation vs LLC formalities list should be the same. The reason is window dressing. Although the law may not require as many formalities to be followed in an LLC as it does in a sub S corporation, equity or fairness requires you to separate yourself from your company. The courts have a funny habit of ignoring the law and making decisions based on equity. When you are sued, the way you prove to the court that your LLC is really not just an alter ego of yours is to show the court that you have followed all the corporate formalities. So, the bottom line is that you need to follow the formalities and in the S corp vs LLC game the maintenance requirements turn out to be the same. People imagine differences in S corp vs LLC taxes. They are the same, because an LLC can be taxed as an S corp. The IRS will treat both entities exactly the same. Actually, you get to choose which set of tax laws will apply to your LLC. So as far as S corp vs LLC taxes are concerned, the two entities are exactly the same. In the LLC verses S corp box, LLCs can be said to have an advantage over S corporations, because anyone can own stock (membership interests) in an LLC. It is true that only warm blooded Americans can own stock in an S corp. But, the same rule applies for an LLC taxed as an S corp. It is the IRS that has imposed the “warm blooded American” rule. If you choose a LLC taxed as an S corp, you have to follow all the same rules you would if you actually had an S corp. There is one difference in the S corporation vs LLC wars that might actually swing your decision. In an LLC, accounting rules permit distributions (dividends) to be distributed at the whim of the manager. In an S corp, the distributions have to be made pro rata based on ownership percentage. If the requirement is a pro rata distribution, that leaves less wiggle room for an officer or director to cheat one of the stockholders. So, if you trust your partners (you’re the only partner – and even then be careful), use an LLC. If your fellow members and managers might try to pull a fast one on you, then use the s corporation. In your LLC vs s corp decisions, the trust of your other co-owners may be the deciding factor in which entity you use.